The International Magazine about Empathy and Compassion with, by and for Animals. Lori Gruen is Professor of Philosophy, Feminist, Gender, and Sexuality Studies, and Environmental Studies at Wesleyan University where she also coordinates Wesleyan Animal Studies. Her work lies at the intersection of ethical theory and practice, with a particular focus on issues that impact those often overlooked in traditional ethical investigations, e.g. women, people of color, non-human animals. She has published extensively on topics in animal ethics, ecofeminism, and practical ethics more broadly. 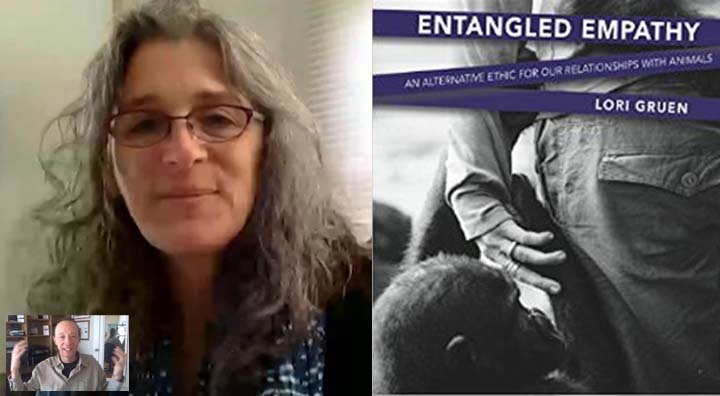 Lori is author of, Entangled Empathy, An Alternative Ethic for Our Relationships with Animals. excuses for not developing empathy." From the book description, "In Entangled Empathy, scholar and activist Lori Gruen argues that rather than focusing on animal "rights," we ought to work to make our relationships with animals right by empathetically responding to their needs, interests, desires, vulnerabilities, hopes, and unique perspectives. 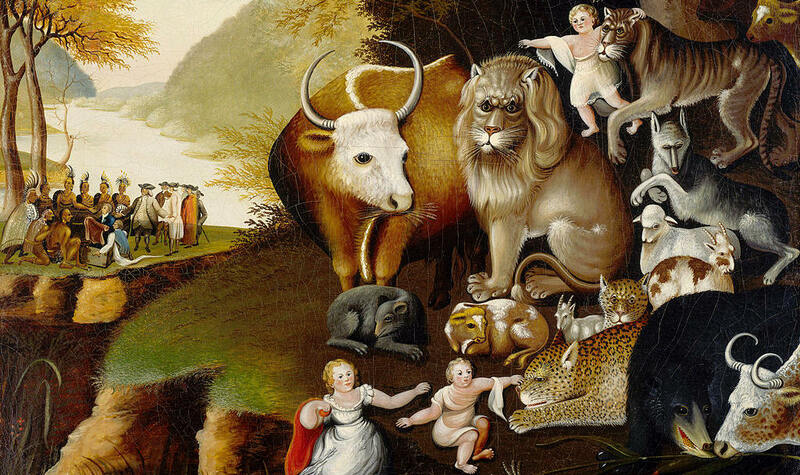 Pointing out that we are already entangled in complex and life-altering relationships with other animals, Gruen guides readers through a new way of thinking about - and practicing - animal ethics." Debbie Custance is a lecturer at Goldsmiths College, Department of Psychology, London. She coauthored a study titled, 'Empathic-like responding by domestic dogs to distress in humans: An exploratory study'. The study tested how dogs respond to someone pretending to cry and be in distress. The majority of dogs came over to the person crying in a way that seemed to express empathic concern. "When the stranger pretended to cry, rather than approaching their usual source of comfort, their owner, dogs sniffed, nuzzled and licked the stranger instead. The dogs’ pattern of response was behaviorally consistent with an expression of empathic concern..."
Marc Bekoff is Professor Emeritus of Ecology and Evolutionary Biology at the University of Colorado, Boulder and is a Fellow of the Animal Behavior Society. He is author of numerous books including: The Emotional Lives of Animals: A Leading Scientist Explores Animal Joy, Sorrow, and Empathy. Stanley Coren is Professor Emeritus in the Department of Psychology at the University of British Columbia. He is the author of many best-selling books on dogs including, 'How Dogs Think: Understanding the Canine Mind', 'How To Speak Dog' and 'The Modern Dog'. Stanley says empathy is the glue that connects us and that "there is a consensus that the mind of a dog is very similar in capacity and behaviors to the mind of a human 2 to 3-year-old." "Recent research demonstrates that dogs have empathy and recognize when humans are emotionally distressed. Their response is an attempt to comfort the unhappy person as best they can." One way to foster empathy in children is for children to have a dog, which helps them learn how to connect and relate to others. The dog will not judge them but offers empathic connection. Kevin Behan is a dog trainer and has written articles about empathy in dogs. He is author of: Your Dog Is Your Mirror: The Emotional Capacity of Our Dogs and Ourselves. "canine cognition labs around the world are conducting experiments to elucidate how dogs have become so attuned to human beings that they seem to have developed a capacity for empathy. But is this kind of empathy a form of emotional contagion or a form of higher cognition? Or is it something else entirely?... " Lee Charles Kelley is a dog trainer and has written articles about empathy in dogs. He writes a blog in Psychology Today called 'My Puppy, My Self: How dogs make us human'. Lee and I talked about the nature of empathy in dogs from Lee's perspective of working with dogs as a trainer and having been an actor. We also reviewed the study, 'Empathic-like responding by domestic dogs to distress in humans', by Debbie Custance, and the related articles by Stanley Coren and Kevin Behan.